Since its introduction at the hands of IBM in 1992, the ThinkPad line of notebooks has become synonymous among business users due to its durability, performance and cutting-edge approach to usability. 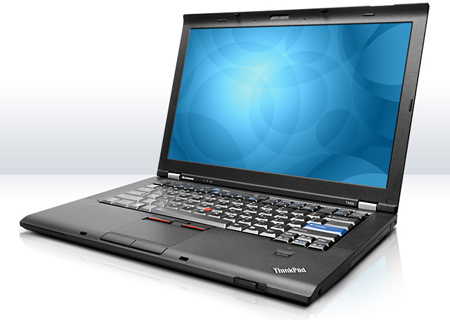 Manufactured by Lenovo since 2005, the ThinkPad line remains one of the best-regarded business notebooks available, and continues to evolve with new hardware. In recent months, the familiar-looking system has been revamped and kitted out with a number of new technologies, with the latest T-series model - the ThinkPad T400s - including Microsoft's Windows 7 operating system and a 14.1in capacitive multi-touch display. That's joined by an Intel Core 2 Duo processor, DDR3 memory and a solid-state drive. All that tech doesn't come cheap, with pricing for the multi-touch T400s starting at around the £1,500 mark. A pricey prospect, but Lenovo reckons it makes for "the perfect balance of performance, portability and energy efficiency". So, is the old king still fit for a new age? We take a look.